Canvas Prints Online – Cheap & Easy - 100% FREE shipping ! Many already have one but just about everyone will have seen one: a photo on canvas. Printing your own photo on a canvas is one of the most popular methods these days of printing wall art using your own images. And not without reason: A canvas printing looks impressive and is very easy to order. The enormous range of sizes also makes the photo canvas so popular. You can order your canvas prints online in formats of 20×20 to 210×140. It has never been easier to order canvas photo prints online. Just select your photo on your smartphone, tablet or computer and upload it online. You can select the size and variant for your photo canvas on our platform. But which photo should you choose for your canvas pictures? What are the requirements for making canvas prints online? The answer: Choose always the most emotional motif. The photo that you love the most. The technical requirements for printing a photo to canvas is, on the other hand, low these days. 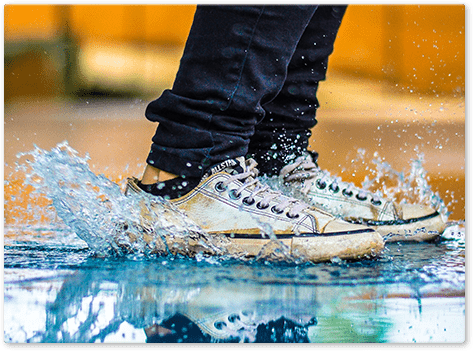 Practically every digital photo taken with current technology is suitable for making an online photo canvas. Your own personalised photo canvas is a popular decoration these days for the home. Irrespective of whether its for over the sofa or above the bed, spectacular photos of exciting moments are brought back to life and to the present. After printing, the photo canvas is stretched over a wooden frame. The wooden frame provides your photo canvas with stability and it can be readjusted afterwards using the wooden wedges provided with delivery. There’s also a simple rule to follow when choosing a size: The large your photo canvas is, the more impressive it will be. But if you want to order your canvas prints online in XXL format, you should make sure first that you have sufficient wall space. After all, the largest photo on canvas is 210 x 140 cm – or as big as a double door! 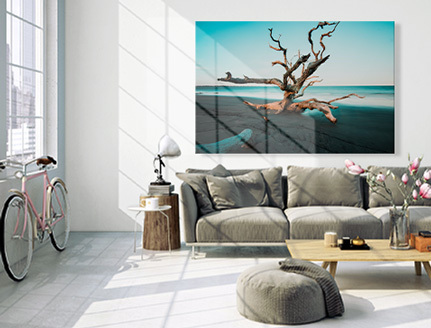 A photo on canvas is especially impressive when the print is carried over the edge, since this produces a three-dimensional effect. They are much more impressive and expressive in the home than a simple poster on the wall. 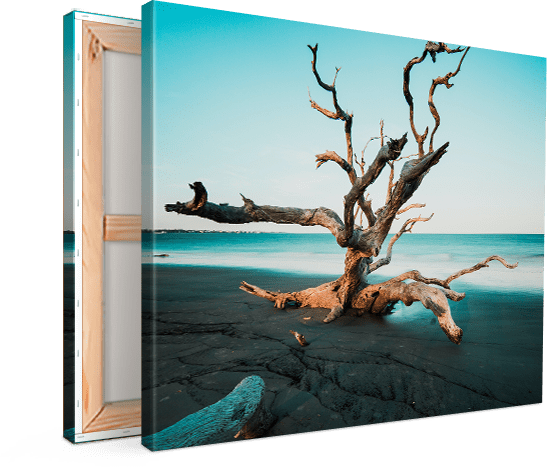 This expressive power of the photo canvas can be increased even more: Although the photo canvas is delivered as standard on a 2cm wooden stretcher frame, the 4cm gallery-format frame available for the photo canvas is especially impressive. It greatly increases the presence of the photo canvas, which is why this variant is so often used in galleries.